While working on a fusion experiment, Swedish scientist Professor Johanson unintentionally causes an electromagnetic pulse that triggers blackouts all over Europe. Realizing the potential for this as a weapon, he is kidnapped by the gang belonging to Madam Latour (Presle), who is intent on getting the professor to reveal exactly how he caused the incident. 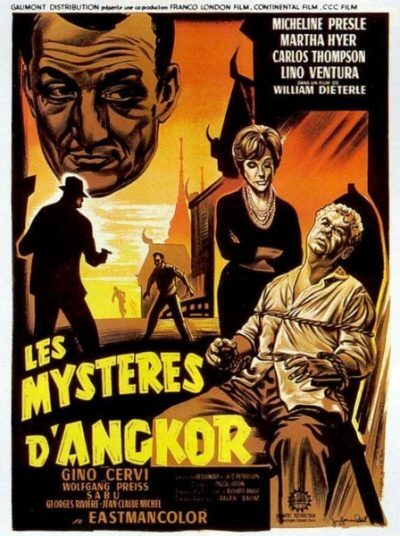 An international group of cops and intelligence agents set out to track down the man and the dangerous information in his head, lead by Peter Lundström (Thompson), along with the professor’s daughter, Karin (Hyer), a journey that will take them from Sweden to the South of France and on to Thailand. That all sounds far more interesting than it actually is, I think largely due to the lack of focus. On more than one occasion, the script kills off a major character with little or no fanfare – you thought the recent Godzilla film was bad, this is even more abrupt. Even the survivors will be central for a bit, then vanish entirely from the plot, such as Lino Venture’s Biamonte. He toughs his way through the section set in Marseilles – as someone says when he’s introduced, “He can make anyone confess. Too bad for those who don’t know anything” – then vanishes entirely when the location changes to the Far East. It’s a shame, since he’s replaced by lengthy sequences of Peter and Karin slogging through the jungle. They are searching for their father’s assistant, Lin-Chor (Sabu), who escaped from the bag guys with the formula… and ran off to become a Buddhist monk, I kid you not. On the other hand, this section of the film did provide a gloriously dumb sequence in which Peter is attacked by snakes, while Karin has simultaneously (whoops!) 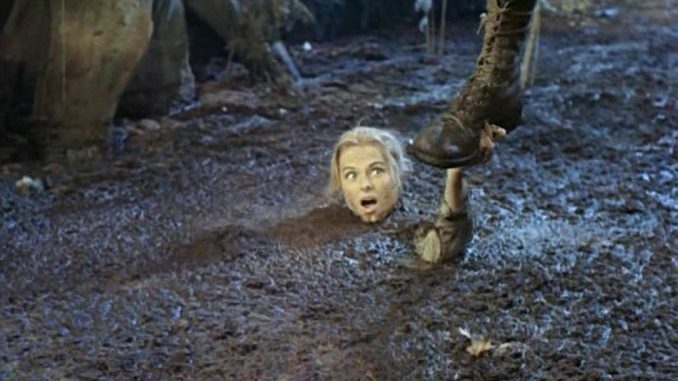 fallen into a pit of quicksand. It’s not the only time this feels more like a serial B-adventure from the thirties, rather than the glossy big-budget Europan co-production it should be. Some of the attitudes are equally dated, with Karin being dragged along on the investigation, only then being repeatedly told to stay in the room, keep her mouth shut and let the men take care of things. Which is odd, because the film has a strong female character in Madam Latour, and Lin-Chor is (at least, initially, before taking the saffron robes) also quite some way from the stereotypical Asians common in the era, being portrayed as both smart and brave. Dieterle shows little or no aptitude for action, with the chase sequences and gun battles almost entirely failing to generate any sense of excitement in the viewer. The result is the kind of project, combining stars from multiple European countries, which makes a great deal more sense on paper than on the screen. It limps along to a conclusion which renders everyone’s actions over the preceding two hours entirely pointless. That likely includes anyone unfortunate enough to sit through the entire movie.